Silent Hill, is a 1999 survival horror video game for the PlayStation. 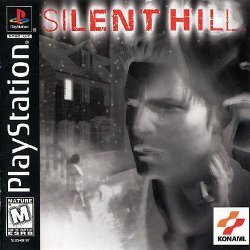 The first in a series about a mysterious town of the same name, Silent Hill generated a direct sequel, three indirect sequels, a prequel and a film adaptation. The game was included in Sony Greatest Hits and Platinum range of budget titles as a result of strong sales. A reinterpretation of the game is currently under development for the Wii, PlayStation 2 and PSP. The plot focuses on Harry Mason as he searches for his daughter, Cheryl, who has disappeared following a car accident which left Harry unconscious. He finds Silent Hill to be largely abandoned, shrouded in a thick fog, snowing out of season, filled with monsters and being over taken by a hellish otherworld. As Harry scours the town, he begins learning about the history of Silent Hill and stumbles upon a cult ritual undertaken to bring a God to Earth. This page was last edited on 1 August 2011, at 12:48.